Head to Walmart online and get this highly rated Step2 Motorcycle for only $15 (reg. $29.97). Choose free in-store pick up to avoid shipping charges! Here's a really HOT deal I just grabbed! Hurry over and grab the NEW LEGO Batman 3 Video Game for $39.99 (Retail $49.99+). Available for all gaming consoles. -For the first time ever, battle with Batman and his allies in outer space and the various Lantern worlds including Zamaron and Odym. -Play and unlock more than 150 characters with amazing powers and abilities, including members of the Justice League, and BIG LEGO Figures such as Cyborg, Solomon Grundy and more. -Surprising disguises, Brainiac's mind control ability, and the power of the Lantern rings bring a whole new twist to characters you thought you knew. -Access Batman's training modules on the Bat Computer and take part in various challenges including battle arenas, races and detective mazes. -Visit the Hall of Justice, the Batcave, and the Justice League Watchtower to access shops, trophy rooms, and the hero and vehicle customizers. FREE $10 Starbucks Gift Card with Visa Purchase! HURRY Starbucks is offering a FREE $10 Starbucks gift card when you buy a $10 gift card with your Visa. These will go FAST! Fine print: Be one of the first 100,000 to buy a Starbucks Card eGift of $10 or more with your Visa® card from Dec 8 – 12 and we’ll add an extra $10— just a little bonus to make your gift go further. The bonus won’t be reflected in your checkout experience, but will be confirmed in your email receipt. One per person. Cannot send to yourself. This offer is still available. Shoe Metro is offering 20% off everything with the coupon code: GREEN20 at checkout! They have a HUGE Selection of UGG Boots you'll want to check out. One of my favorite deals is these UGG Australia Bailey Bow Boots for $107.99 after the coupon code (Retail 150)! Check out all of the UGG Deals HERE! Disney Store Extra 25% off! It's Magical Monday at the Disney Store! You can get up to an extra 25% off! Take 25% off $100+, 15% off $50 plus FREE SHIPPING on $75+. Use code MAGICAL at checkout. I was excited about this sale because you can use this code to save on Frozen products- something rarely available with discounts at The Disney Store! There are a TON of deals to scoop up on right now, so be sure to browse around! Potter Barn Brands Free Shipping & Deals! Pottery Barn Kids Gift of the Day (12/8) is 50% off Stockings! Check out today's Style Steals at Cents of Style! Choose from 6 different styles of Head Wraps and 2 different styles of Beanies that all come in multiple colors for 50% Off and FREE Shipping. Must use code: Stylesteals at checkout. $25 Restaurant Gift Certificates $3.33! Here is a great dining deal! Restaurant gift certificates are a great way to treat yourself and save some money and they also make great gifts. Today only you can get a $25 Restaurant Gift Certificate for only $3.33. Use the code CYBER2 at checkout to get this offer. Today only, Save $50 when you buy these Wireless TV Headphones at Brookstone! Claire's Free Shipping With Any Purchase! Today only, Claire's is offering Free Shipping on all orders. This is a great time to grab stocking stuffers and beat the mall crowds. *HOT* Vera Bradley up to 60% off + Free Shipping! WOW! Today only, Vera Bradley is offering 50% off the Round Duffel, Tic Tac Tote and Grand Cargo Bag and 60% off Night and Day & with FREE SHIPPING ON ALL ORDERS! One of my favorite deals is the Large Duffel for only $33.60 (Retail $84.00). 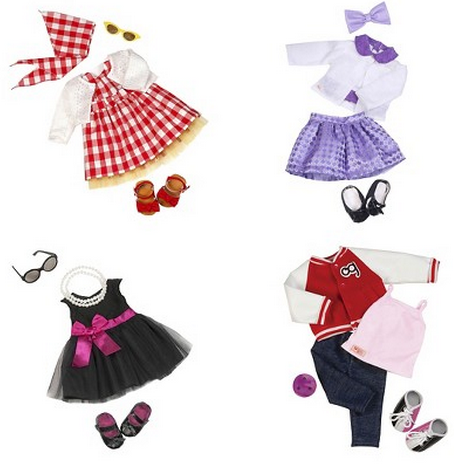 Head to Target online where they are offering their Our Generation Doll &amp; Me Fashion Sets for only $14.99! (Reg. $54.99!)! These fit 18" dolls so it'd work for American Girl Dolls too. Target REDcard Holders get 5% off their entire purchase and FREE shipping. Zulily New Sales - SPANX, Cuisinart, Mud Pie & More! 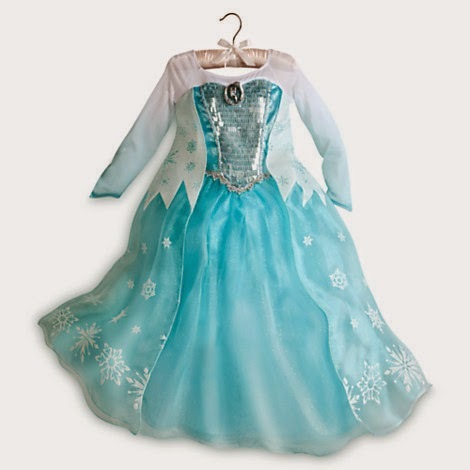 We have some fantastic Zulily sales that started today! And remember that shipping on Zulily starts at $5.95, but once you pay the shipping on your first purchase, you can shop all day and the rest of your purchases ship free! 123Inkjets Green Monday Sale - Up to 15% off + Free Shipping! Today only, save 15% off compatible ink, 10% off all other products (Excludes Hardware & OEM Items) and Free Shipping on orders to the contiguous U.S. with code: GRN123 at 123Inkjets. Valid 12/8/14 only. Plus, you can earn up to 32% cash back through ebates. This is another great resource I use and love. I just found a 10 pack of cartridges for my printer for only $40 each wyb 3 or $44 each. Which makes each cartridge as low as $3.40 each. This is where I've been buying my ink from for a while and have been very pleased. Walmart - Up To 40% Off Toys & More! Head over to Walmart.com HERE where they are offering up to 40% off toys and more plus some new one day deals! Shipping is free when you spend $50 or more, or you can select free in-store pick up if available. Target Green Monday Sale - 40% off Select Toys! Target is celebrating Green Monday today with 40% off select toys. There are some awesome deals to choose from! WOOT! Check out this Green Monday Sale! Today only, get 50% off giftable toys they'll love from Crayola, LeapFrog, Fisher-Price, and more. Today ONLY get this LeapFrog LeapBand, Blue for just $19.99 (Retail $39.99)! We haven't seen this priced below $24.99 so this is a hot deal you'll want to grab while you can. Experience the first activity tracker made for kids LeapBand is fit made fun! Preload LeapBand with 50 active challenges that get kids moving, like Pounce like a lion!" Parent controls on LeapFrog Connect make it easy to set play times, challenges and more. Encourages active play, nurturing and healthy choices. 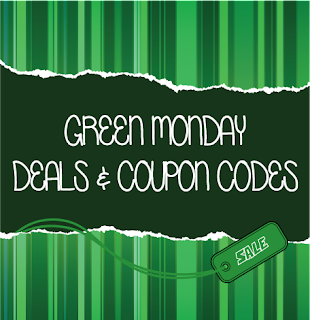 2014 Green Monday Deals & Coupon Codes! Did you know today was Green Monday? Not sure what Green Monday is? Green Monday is supposed to be similar to a second Cyber Monday with retailers offering many discounts right before Christmas. Here are a few of my favorite retailers and discounts available for a limited time. 123Inkjets: Save 15% off compatible ink, 10% off all other products (Excludes Hardware & OEM Items) and Free Shipping on orders to the contiguous U.S. with code: GRN123. Valid 12/8/14 only. Aeropostale: Get $10 Off $50 or $25 Off $100 at PS from Aeropostale PLUS Free Shipping on $50 or more with code SAVEGREEN. Exclusions Apply. Offer valid 12.8.14 Only! Amazon: 30% off qualifying items with code GRNMON14 at checkout. Plus, hundreds of deals over the next four days. 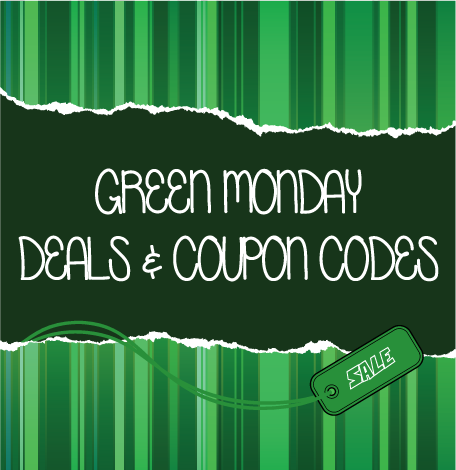 Some Green Monday 2014 deals are in limited supply, and all will go quickly. Barnes & Noble: Take 25% Off A Single Item with Code GMONDAY14. Valid 12/8 only. Bath & Body Works: $10 off orders $30 or more with code: WHYNOT10. Best Buy: Up to 25% off HDTVs, Tablets, Cameras & More! Build-A-Bear: Select Animals $8 and Select Clothing 2 for $15! Plus, free shipping with orders $30 or more. Campmor: Savings up to 70% off. Carter's: Free Shipping on all orders & up to 60% off. Crocs: 30% off with code: GREEN30. Finish Line: $10 off orders of $100 or more with code TINSEL10 or $20 off orders of $200 or more with code HOLIDAY20. Hot Topic: 30% Off + $1 Shipping on Orders Over $50! Can be combined with $5 Off $50 holiday exclusive (use code: HT5AFHD14). Valid 12/8 only. HSN: Get 20% off your single item purchase with coupon 149160. Valid 12/7-12/10. JCPenney: Save 25% off apparel, shoes, accessories, fine jewelry and home. Use code FRIEND. Justice & Brothers: OVER 50% Off Everything! Free Shipping Over $99! Use Code 808. Valid 12/8. Kmart: Huge Savings on ALL the Gifts you want to Give & Get. Valid 12/8 only. Kohl's: 20% off with code PRANCER oor 25% off orders $100 or more with code VIXEN. Ends 12/8. 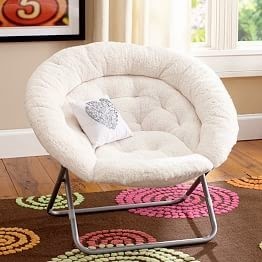 LivingSocial: 20% off your next purchase with code CYBERSALE2. Valid 12/5-12/8. 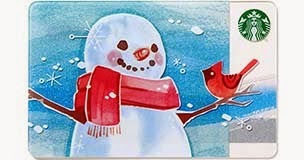 Melissa & Doug: 20% off orders over $50 with code: HOLIDAY. Free shipping no minimum with code: FREESHIPZERO. OshKosh B'gosh: Free Shipping on all orders & up to 60% off. QVC: Enjoy Free S&H on Hundreds of Products, with No Minimum Purchase! Restaurant.com: GREEN MONDAY! $25 Certificates for $3.33 with Code: CYBER2. Valid 12/8 only. Target: 40% off select toys. The Children's Place: Extra 40% off Clearance. Toys "R" Us: Save big during the Great Big Christmas Sale. Vera Bradley: 50% off Round Duffel, Tic Tac Tote and Grand Cargo Bag. 60% off Night and Day & FREE SHIPPING ON ALL ORDERS! Walmart: up to 40% off toys & more. Wrangler: Free Shipping on any order - no code required! Valid 12/8 only. Amazon Toy Lightning Deals Round Up December 8th! Target Cartwheel 50% off Toy Offer December 8th! Here is the deal for December 8th - Save 50% off Disney Sofia The First Flower Girl Doll - 10". Limit 1 item per guest; item availability varies by store. Excludes other Sofia the First items. Offer valid in store only. EXP 12/8. Plus, today only, Target is celebrating Green Monday by offering 40% off select toys. See all the deals HERE! *NOTE: Some stores are only allowing the $11.99 discount or the 50% off $19.99.